Note: I was given a free e-copy of this book for my honest review. I was not paid to write this review. This is the second book I’ve read by Tracy Wolff. Considering this is her New Adult debut, I’d say she did a pretty good job. I wouldn’t consider Shredded as my favorite of hers though. I personally liked Z and Ophelia. As I learned the secrets of their pasts, I understood where they were coming from and their situations. It was nice to have alternating POVs. I also thought they were a good pairing. I could totally see Z as a guy Ophelia would want to stay away from and the conflicts that could arise because of that. The banter between Z and Ophelia had some really great moments, like their first meeting. It was an interesting way to introduce yourself for sure. Aside from Z and Ophelia though, there were some issues I had with the book. Firstly, I really didn’t like Cam, one of Z’s good friends. Nor did I like the fact that she romantically liked Z. (This is not a spoiler. It’s pointed out in Chapter 1.) Therefore, I obviously thought there would be some animosity between Cam and Ophelia. 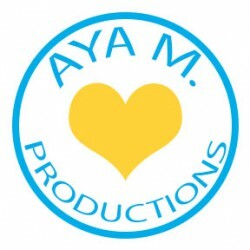 It was pointed out a bit during the climax confrontation between Cam and Ophelia, but there was no resolution to it really. I would have thought since Cam is Z’s good friend he wouldn’t have wanted them to hate each other. This leads into my next point, I wasn’t a fan of how the confrontation between Cam and Ophelia played out. Yes, I’m glad someone got Ophelia over herself enough to think about Z. However, I don’t think Cam was the right person to do it. Plus I sympathized for Ophelia and understood where she was coming from having read her POV for half the book, so I totally thought Cam was out of line at certain moments. Cam was judging the situation as an outsider not knowing anything about Z and Ophelia’s relationship. On the bright side, Ophelia made some very good points, I think. No offense, but if Z had been dealing with the situation for 11 years and Cam had been there all 11 years, obviously something wasn’t working or whatever they’re doing wasn’t helping… Hopefully Cam turns out to be better than I imagine her to be right now for future books in the series. The last thing I think I had an issue with, which really isn’t a big deal, was the way a cliffhanger was thrown in at the end of the epilogue to set up the next book. I get that it sets up the next book, but it felt like it was kind of just forced in there to me. It had nothing to do with Z or Ophelia and was a plot development I didn’t think was needed. 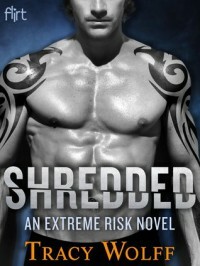 Overall, I applaud Tracy Wolff’s debut into New Adult with Shredded. I’d give it 3.5 stars. It was a nice read and very fitting with the start of the Winter Olympics coming up. I just had some issues with a couple of plot elements. I am interested in seeing Ash’s story in the next installment.